I can’t even begin to tell you what these first 3 weeks of school have been like for our family. Suffice it to say that if your teen ever changes high schools, make sure that you know all the policies surrounding the switch. Including those related to high school athletics. To make a really long and emotional story short, our family ended up having to appear before an appeals committee to prove that he didn’t move schools for athletic reasons. It was quite surreal having to defend him against these accusations. A boy who is the kindest, quietest, most respectful boy I know. It was also disappointing for him (and us) to see how petty and vile adults in a presiding organization can be. It was the first time that someone else was making a decision for my son other than me and it was terrifying. Don’t worry though, the story does indeed get better! His appeal was accepted and he has been able to play football (and other sports) at his new high school. In case you are wondering why he switched schools to begin with, he was drawn to the commercial cooking course that was available at his new school. He wants to be a chef and I couldn’t be more proud! Since starting school he has come home every day telling me what he’s learned. I know the day is coming when he’ll tell me I am doing a technique wrong or criticize my knife skills. When the September Around the World in Twelve Plates country was revealed to be Japan, I was thrilled! There are so many interesting options to choose from. The obvious Japanese cuisine choices may be sushi or ramen. Dishes like karaage, katsu, teriyaki, and various izakaya (bar snacks) are a huge part of the cuisine too. There’s Japanese binchotan grilling, those gorgeous Japanese cheese cakes, mochi (check out my Red Lentil Mochi here), and gyoza! So many possibilities and I love them all. I really need to get to Japan! 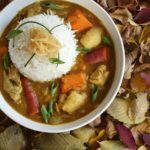 Did you know that there was such a thing as Japanese Curry? I first heard about it the that time I made dumplings with Carol from The Office Broccoli. 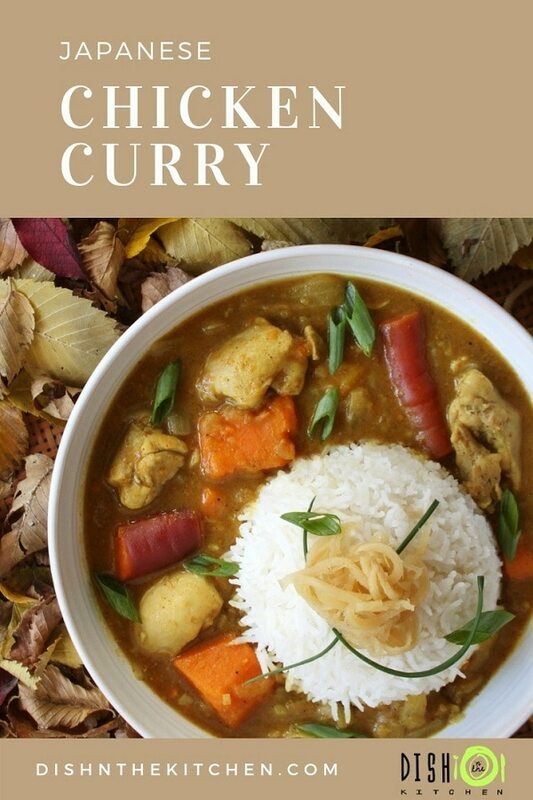 I have been wanting to try and make a Japanese Chicken Curry ever since then. Using the pre-made curry roux that comes in a box as a flavouring for our dumplings made me curious. I wanted to explore this flavour more but never did. It turns out that making the curry roux yourself is not that difficult, just time consuming. 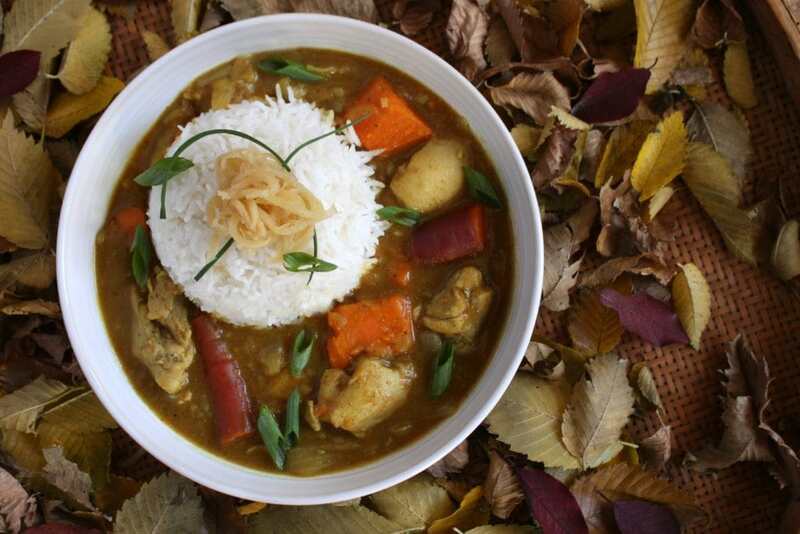 The flavours of a Japanese curry are what you would think a curry made with (curry powder). The classic curry powder is accented by other flavour aspects such as sweetness (grated apple and honey). Then there’s the punctuated heat from the cayenne. Huge thanks to Gabby for giving me a gentle push I needed to make Japanese Chicken Curry for this month’s challenge! I know that we made the right decision in supporting our son. He’s so much happier and focused at his new school. Now I know he’s also making friends too because yesterday it was game day and two of his team mates came over to chill before the big game. They arrived just as I was finishing this curry photo shoot and each had a huge bowl of Japanese Chicken Curry. I told them it was magic curry and that it would give them extra power during the game, little did I know that they would go on to win and all 3 of the boys were a huge part of that win. The boys came to see me after the game to let me know they were convinced the win was due to ‘CURRY POWER’ and that they’ll be showing up next week on game day for more of that delicious Japanese Chicken Curry. A comforting and familiar Chicken Curry. Add canola oil to a large pot, then add diced onion. Cook until the onion begins to soften then add the garlic and ginger. Cook a few more minutes. Add chicken pieces, season with salt and pepper, then cook until they have changed colour with intermittent stirring. Add sweet potatoes and carrots then cover with chicken stock. Grate the apple into the pot and add the honey. Simmer for 20 minutes. 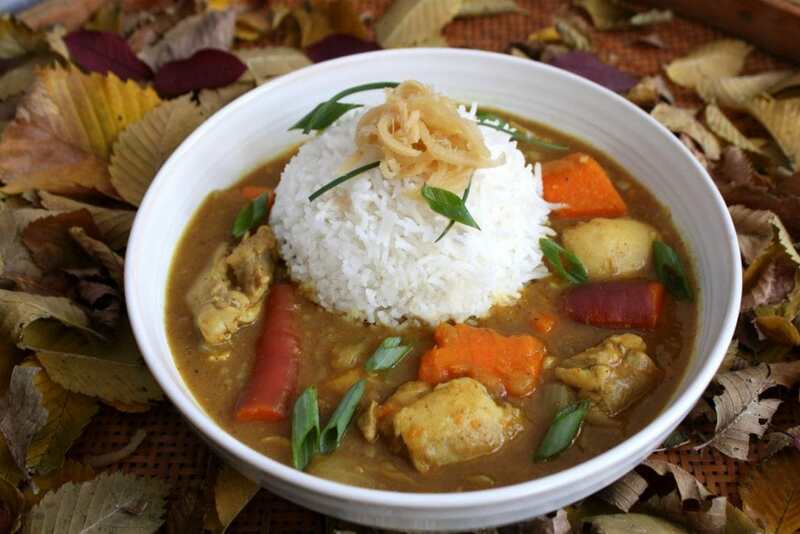 While the chicken is simmering, make the Curry Roux. Melt the butter in a heavy bottomed pan and stir in the flour. Stir continuously for 20-30 minutes until the roux changes colour and looks like a copper penny. Add the spices to the roux and cook for another minute, stirring continuously. Add enough ladles of the simmering chicken stock to the roux so that it becomes somewhat fluid. Add roux/stock into the simmering chicken pot. Add your splash of acid. Serve with rice and some sort of pickle; pictured below is pickled ginger but you can pickle daikon or garlic scapes as well. You can also add a soft boiled egg. 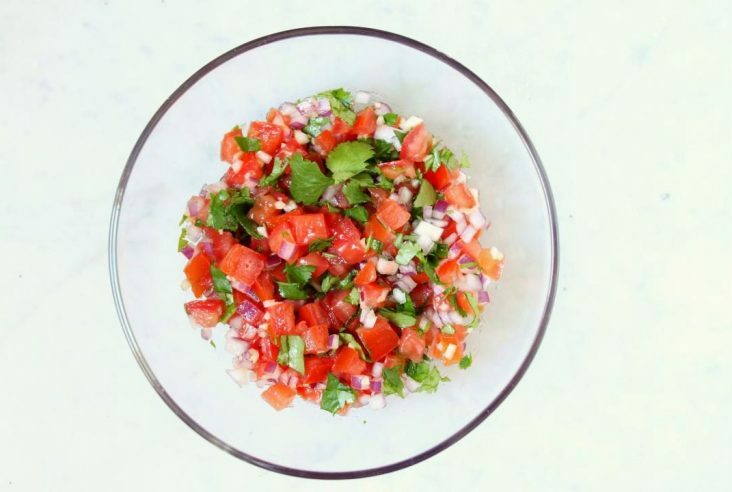 Hopefully you can find the ingredients and give the recipe a try! That is so exciting! I’m so proud to (sort of) know a future chef!!! 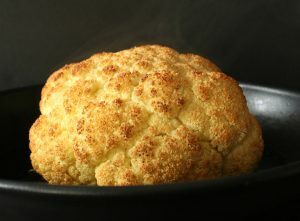 A great post and recipe. I’m kind of on the fence about his career choice…it means he’ll ALWAYS be working especially during holidays. Chef life is pretty brutal sometimes. wow! love this. Thank you so much sharing a unique recipe with a best images.